In August 2007, I received the following email message from Gordon Stoker of the Jordanaires. I'm going to BMI party tonight to kick off Joe Moscheo's book, THE GOSPEL SIDE OF ELVIS. So many have asked me ... "you are on far more gospel recordings with E than Joe ... why aren’t you writing?” But I'm sure you will tell me “it’s a lot and takes a lot of time” ... which I don’t feel I have. Minnie Pearl wrote a book and she said, “honey if you don’t have the time to travel and promote, it won’t sell.” What are your thoughts? Of course, I encouraged Gordon not only to write about his gospel recording sessions with Elvis, but also about all of his experiences in the studio and on the road with Elvis. However, at the time he sent me the above message, Gordon and the Jordanaires were still a working group in Nashville, and I got the feeling he already had concluded that he didn’t have the time to write a book. It’s a shame, though, because Gordon Stoker is a virtually untapped treasure trove of Elvis lore. Now age 84, Gordon was an eyewitness to, and participant in, much of Presley’s entertainment career in the fifties and sixties. For the record, Stoker joined the Jordanaires as a piano player in 1950. By 1955, he had become the first tenor/manager of the group, which also included Neal Matthews, Hoyt Hawkins, and Hugh Jarrett. 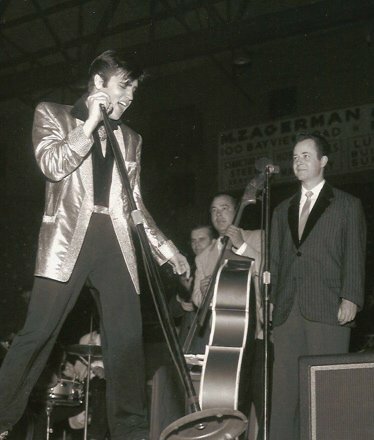 The Jordanaires first met Elvis in 1955 when both performed at Ellis Auditorium in Memphis. Elvis liked the way the group sang fast gospel numbers and said he wanted to work with them if he ever signed with a big recording label. Sure enough, after signing with RCA in 1956, Elvis called Gordon, beginning a fifteen-year professional relationship between them. Their friendship lasted even longer. I got to know Gordon between 2005-2007, when he graciously provided valuable input for my book, Elvis ’57: The Final Fifties Tours. 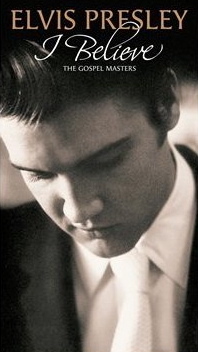 He was then and remains fiercely loyal to Elvis’s memory and sensitive concerning his legacy. Gordon is certainly accurate in claiming his Jordanaires sang on far more of Elvis’s gospel recordings than did Moscheo’s Imperials. The Jordanaires provided background vocals in January 1957, when Elvis recorded his first gospel songs for RCA—Peace in The Valley, I Believe, Take My Hand, Precious Lord, and It Is No Secret (What God Can Do). In September 1957 they backed Elvis again on his Christmas album session, which included the religious hymns, Silent Night and O Little Town of Bethlehem. It was over three years later, in October 1960, that the Jordanaires participated in the marathon session that produced the 12 recordings for Elvis’s His Hand in Mine album, as well as Crying in the Chapel, which was later released as a single in 1965. Gordon and the group also sang on Elvis’s acclaimed gospel LP, How Great Thou Art, the 12 cuts for which were recorded in May 1966. In September 1967, the Jordanaires provided vocals on Elvis’s recordings of We Call on Him and You’ll Never Walk Alone. When Elvis went to Las Vegas in 1969, the Jordanaires decided to remain in Nashville and continue their steady studio work for other artists. It was Moscheo and the Imperials, then, who backed Elvis on most of his gospel recordings in the early seventies, including his third gospel album, He Touched Me. 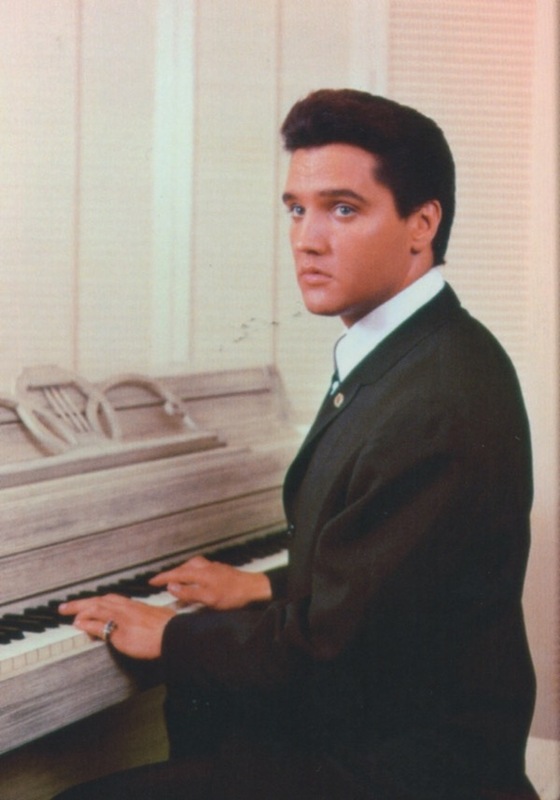 "In October 1960, that the Jordanaires participated in the marathon session that produced the 12 recordings for Elvis’s 'His Hand in Mine' album, as well as 'Crying in the Chapel,' which was later released as a single in 1965."